“I don’t get given these songs; I write them myself”. While Rag’n’Bone Man is quite a modest artist, he wants people to be aware that this is his own original work inspired by the people and experiences in his life. Fans are in no denial about this given the amount of passion he performs his songs with, and though he describes most of his songs as being “depressing”, there are certainly many layers to this musician. Having only released his first studio album Human in February despite a number of years in the industry, the singer has been very quick to success, reaching No.1 in the UK and a number of European countries, as well as receiving the Brit Award (2017) for Critics Choice and Breakthrough Artist (previously won by the likes of Sam Smith and Adele). It is a genuine pleasure to see the extent of Rag’n’Bone Man’s enjoyment of performing on stage: often breaking into a big grin, he occasionally giggles in the middle of a song due to the crowd’s reactions. Having already seen him live as a support act before only last year, it is satisfying to see the artist develop and receive well deserved recognition. Tonight’s gig starts with popular track ‘Wolves’ which would give anyone chills listening to it: a captivating song, it always proves to be a powerful performance. As is to be expected, the single ‘Humans’ – arguably his most recognised song – is also performed along with a remix version. The down-to-Earth act doesn’t struggle to capture his audience, and the range of the Rag’n’Bone Man’s talents are particularly evident with some of his more soulful songs: ‘Life in Her Yet’, he tells us, is about his Gran; ‘As You Are’ is about being “truly content” with someone you love, and ‘Perfume’ is about living with the memory of a loved one. Performing a more stripped back version of ‘Skin’, the crowd accompanies him in perfect unison: one of the highlights of any gig is when the artist and audience can share a potent moment singing such an emotive tune. Rag’n’Bone Man makes a point of letting fans know of his gratitude for their continued support, which is rewarding for both parties knowing there is a mutual feeling of thanks. 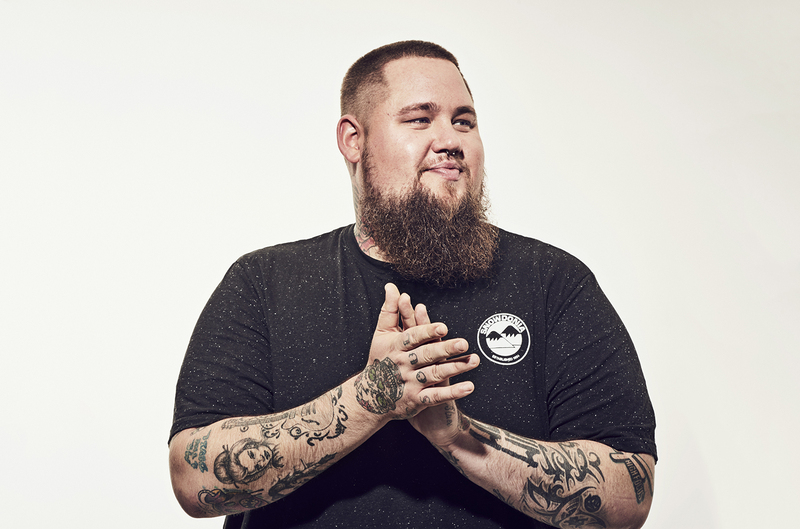 There is also no mistaking his popularity – with his album being the fastest selling male debut solo album of the decade, it goes without saying that people only want more of Rag’n’Bone Man, and there should be no doubt that whatever music he delivers will be exceptional.